A stunning smile is proven to have advantages in both work and social life. Sometimes, however, genetics or life can give us less than a perfect smile. It is then that we turn to dentists to give us the smile of our dreams. Tooth bonding is the name of one cosmetic dentistry process, which can restore the look and use of imperfect teeth. The advantages of tooth bonding include how quickly it can be completed and its economic advantages compared to some other treatments. Tooth bonding is not the answer for all patients and cases, which is why it is important that patients understand all aspects of it before going forward with it. This understanding should include how long the treatment takes, the steps of the treatment, and how long the treatment can reasonably be expected to last. To help you decide if tooth bonding is for you, here at Warner Lakes Dental we have written this short post about the tooth bonding treatment, how long you can expect your tooth bonding to last, and how to ensure it lasts as long as possible. When is Tooth Bonding Right For You? What can I Expect when I get Teeth Bonded? Composite bonding won’t last forever, but it should last between 3 and 10 years. Still, you need to take proper care of your teeth by avoiding hard candy, ice cubes and similar substances that can crack the composite material. Composite resin is more brittle than your natural enamel, and a poor bite can shorten the life of bonded teeth, causing chipping and breaking. The threat of chipping is greater if you grind your teeth (bruxism) when you sleep. If you have bruxism, talk to your dentist about mouthguards or treatment. As with natural teeth, staining will be reduced or avoided if you limit or cease exposure to highly colored or acidic foods and drinks. Finally, like your natural teeth, bonded teeth last longer if they are treated with good oral hygiene. This means brush at least two times a day, floss at least once a day, and see your Warner Lakes dentist on your regular schedule. Do not use baking soda or abrasive toothpaste. The lifespan of your bonded teeth cannot be precisely predicted, but with good habits and good luck you can be looking at up to a decade of performance from your bonded teeth. 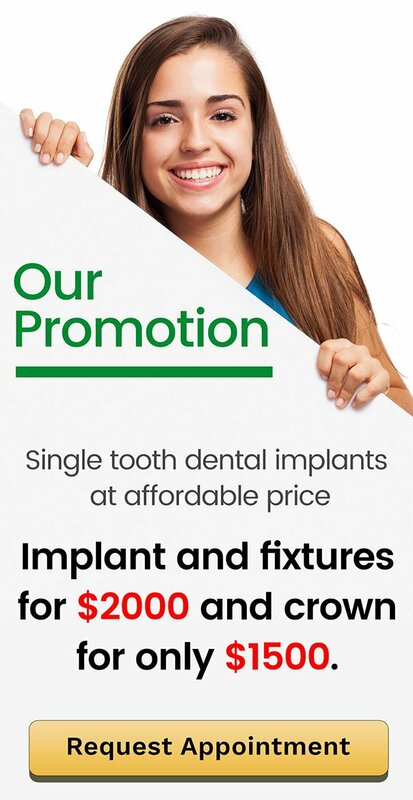 At Warner Lakes Dental, our goal is to make quality dental care affordable. We encourage you to take advantage of our latest offers. To discover more, visit our special offers page. Book your appointment online or contact us today!